Vernon County was the home of the oldest operational jail in the state of Wisconsin. Dating back to the early 1900’s, the jail was not only overcrowded, but it presented a potential liability to the staff and inmates in the facility. Faced with housing inmates at out-of-county facilities at an ever-increasing annual cost, the County decided to act. Potter Lawson was retained to work with the County to design a new jail and sheriff’s department. The design provides the County with a facility that is staff efficient and has great flexibility. The project accommodates 86 inmates in Huber and secure housing. Double bunking of the secure cells will increase the capacity to 125 inmates. Additionally, the design allows for expansion to double its capacity in the future. 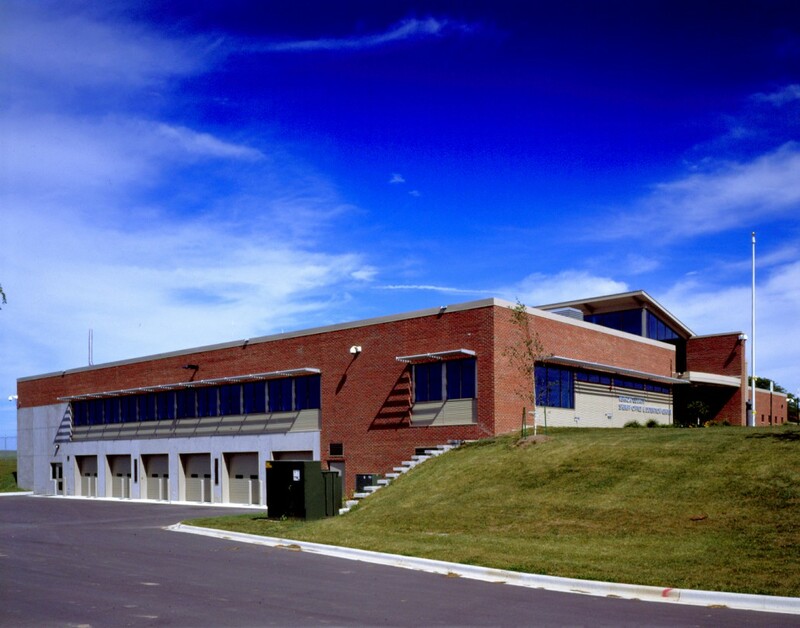 In order to increase operational efficiency, the Sheriff’s Department was relocated to the new site. The Sheriff’s offices and support facilities provide for modern and efficient office spaces. 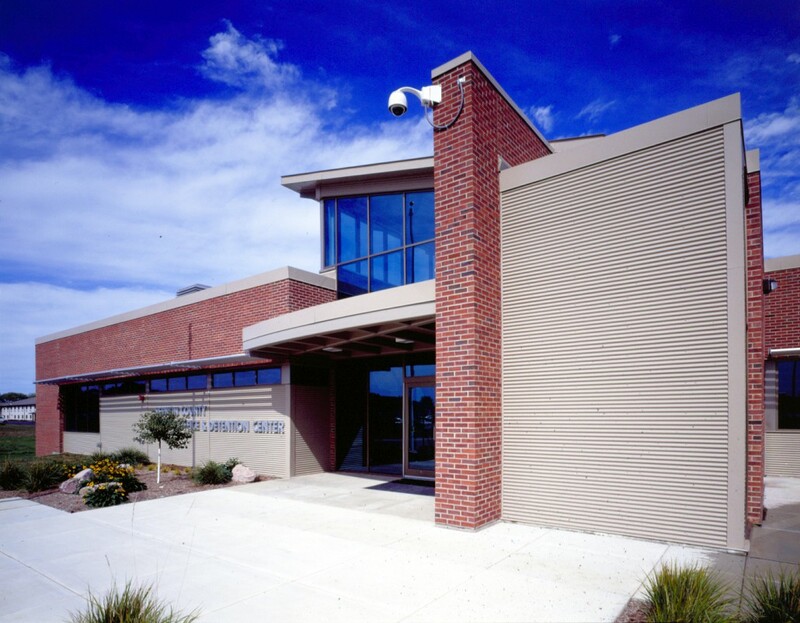 The combination of the jail and the Sheriff’s facilities at one site allows the County to use the Sheriff’s staff to service the needs of the jail when required. 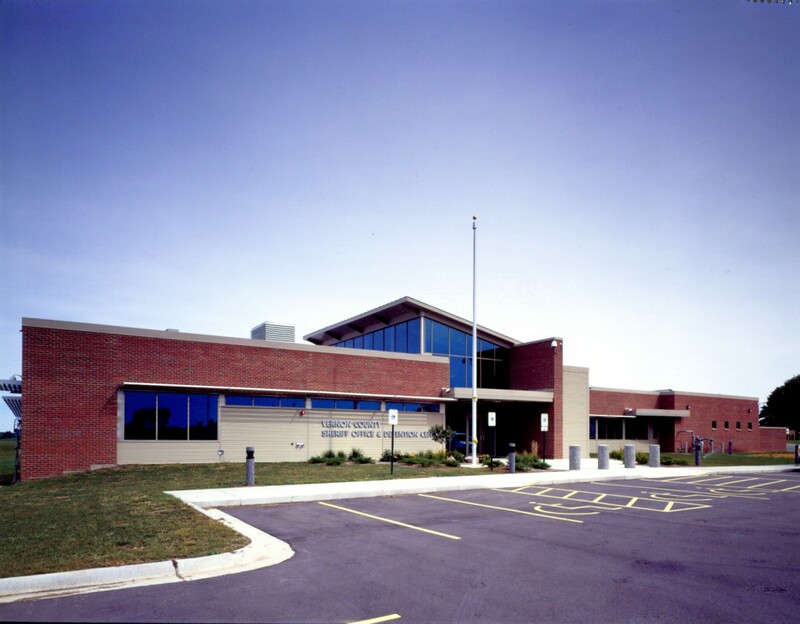 The design of the Sheriff’s facility took advantage of a sloping site to provide covered parking for the Sheriff’s vehicles, which can be critical in Wisconsin winters.